Man Utd and Chelsea have seemingly been dealt a transfer blow as Juventus ace Alex Sandro is reportedly set to sign a new contract with the Turin giants. 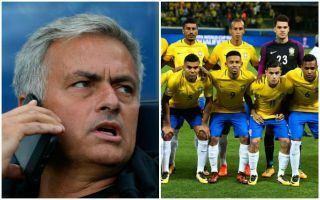 As noted by the Metro last month, both United and Chelsea have been paired with a swoop for the Brazilian international with Juventus said to be demanding €60m for his services. However, as per respected Italian journalist Fabrizio Romano’s tweet below, it seems as though Sandro is set to sign a new deal with Juventus and snub interest from England to extend his stay in Turin until 2023. It remains to be seen if that’s indeed with a view of keeping the defensive stalwart at the club for the foreseeable future, or perhaps a safeguard to strengthen their position to demand a hefty fee if he is to move on in the summer. Ultimately though, it seems more likely to be the former, as Sandro has continued to play a fundamental part in the club’s pursuit of further success as they chase an eighth consecutive Serie A title this season as well as looking to challenge in the Champions League with Cristiano Ronaldo leading their charge. As for United and Chelsea who were both seemingly eager to bolster their options at left-back, it appears as though they will now have to look at alternative transfer targets to fill that void. Nevertheless, with Luke Shaw at Old Trafford and Marcos Alonso at Stamford Bridge, it has to be questioned if such a move made genuine sense for either club, especially with that fee being touted to bring in real competition for places in that department. In turn, perhaps it’s a good thing that they’ve potentially missed out on Sandro, and so in turn can now focus on other targets and areas to bolster their respective squads. For Massimiliano Allegri though, it will be a huge boost to see his reliable left-back remain and continue to play a key role in their bid for more glory.